INA needs to offer its students the opportunity to train using the latest Media Asset Management tools, which are being used in the professional world, in order to ensure it is delivering expert training on both the job and associated technology. Christophe Martin de Montagu, Education Manager, Ina. INA is a major player, offering training for audiovisual and digital professionals. INA delivers a large catalogue of programmes both for students studying for a BTS (French technical diploma) or a Masters, as well as for professionals. The organisation trains more than 3,000 people every year. The audiovisual industry is going through a period of rapid change. This includes the digitisation of media, democratisation of production tools with a multitude of different delivery formats and types. In this digital age, and with so many different formats, media companies have to adopt new models for managing media. 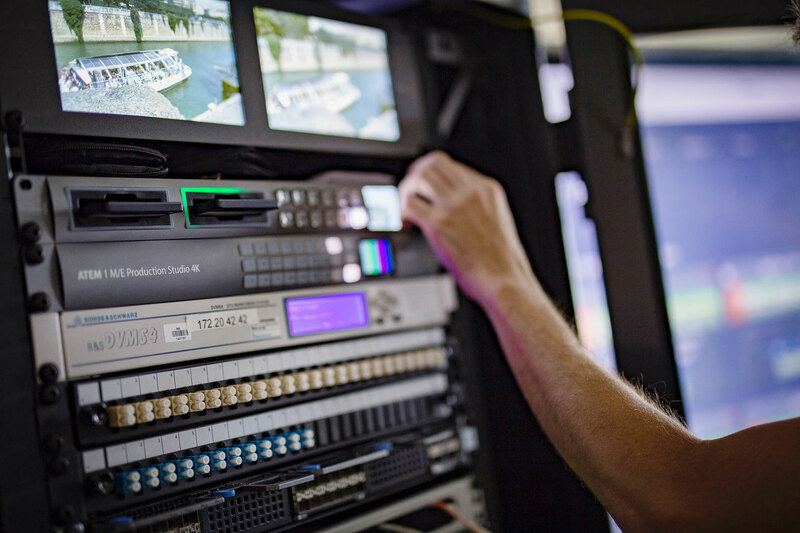 Media Asset Management solutions have become a necessity for the industry to tap into these new developments, whether that is during post-production, production, digital archiving, or delivery. In this new paradigm, it has also become necessary for audiovisual training to evolve in order to respond to current market needs. INA has always worked to adapt its training programmes to be up-to-date. Therefore, it was looking for a modern and efficient Media Asset Management solution to enable it to cover all the aspects associated with this topic. Having reviewed its requirements and the available solutions, INA chose Cantemo Portal™ for its modularity and flexibility. This means Portal can evolve according to specific requirements and can be used in a range of different environments. That made it particularly adept to the very unique needs of INA. Portal was developed by the Swedish company, Cantemo®, which is represented in France by IVORY. CTM Solutions was tasked with the initial development phase, including integrating Portal into the existing infrastructure and training those responsible for education within INA. Using a virtualisation platform under Linux and housed within the INA infrastructure, offered not only great security but also ease of adaption. This means items and integrations can be removed and re-installed as needed. Portal is both flexible and intuitive, meaning we are able to use it to cover a number of different educational aspects. It is able to cater for users in different professions as well as being just as adept for developers as other users. Following integration and various test phases, Portal has been integrated into the Audiovisual Technology subsidiary of INA. 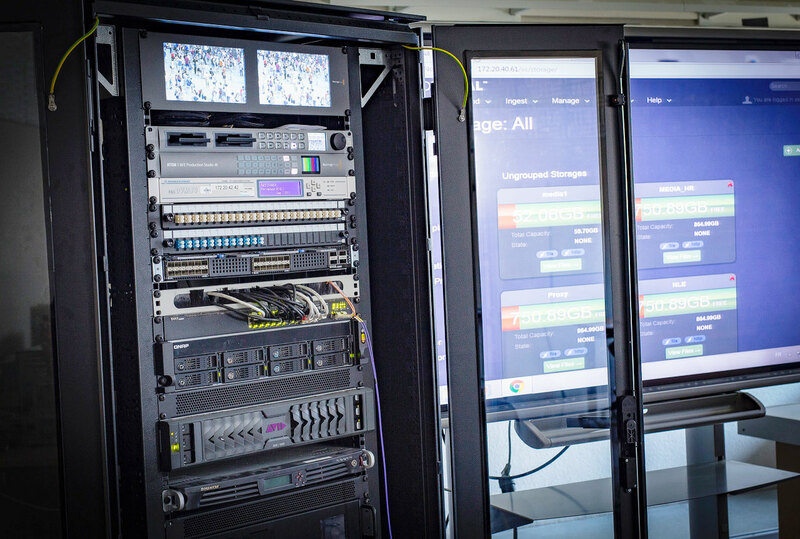 Portal forms a core part of the training programme, with students able to familiarise themselves with Media Asset Management using Portal, which is integrated with an Avid storage environment. Having witnesses initial success with this project, INA has decided to extend the use of Portal within the INA. We are particularly satisfied with the collaboration with CTM Solutions. Their expertise with Portal was extremely valuable, both for the advice given on the choice of technology, as well as their support once the solution was in place. We now intend to deploy Portal for a number of other of our training courses, for example those aimed at editors, journalists, archivists, and technicians, etc. We have acquired additional licences to enable us to expand our usage. CTM Solutions has been a leading player in the distribution and integration of professional audiovisual solutions for the past 25 years. Its clients include producers, post-producers, archivists, schools, and businesses. Its team has experience planning and designing workflows, integrating equipment, managing projects, and offering technical support. CTM Solutions is an expert in post-production and archive management. Its team is specialised in image and sound editing, testing, recording and mixing, Visual Effects, ingest, and archiving. Founded in 2011, IVORY is a service provider for the European media industry. It has two main activities, strategic advice and operational service, as well as representing the interest of several foreign companies. Follow us on @Twitter IVORY_France.